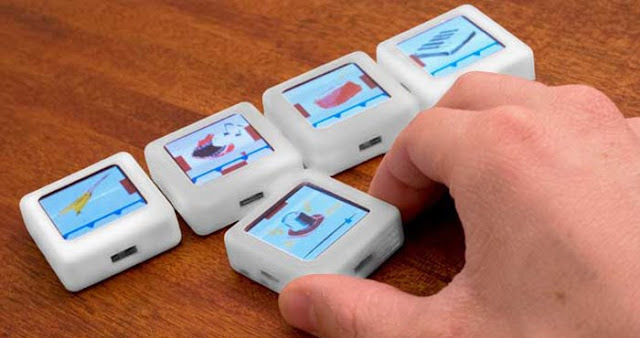 Siftables are cookie-sized computers with motion sensing, neighbor detection, graphical display, and wireless communication. They act in concert to form a single interface: users physically manipulate them - piling, grouping, sorting - to interact with digital information and media. Siftables provides a new platform on which to implement tangible, visual and mobile applications. David Merrill is a grad student in the Fluid Interfaces Group at MIT's Media Lab. He and his fellow students in this group work on new technologies that give us more and better abilities to do things we want to do. His main interest now is the Siftables project, the subject of his TEDTalk, on which he works with Jeevan Kalanithi. Siftables Research Summary Imagine overturning a container of nuts and bolts, then looking through the resulting pile for a particular item. Or spreading photographs out on a tabletop and then beginning to sort them into piles. 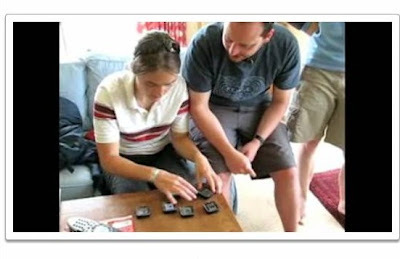 During these activities we interact with large numbers of small objects at the same time, and they utilize all of our fingers and both hands together. We humans are skilled at using our hands in these ways, and can effortlessly sift and sort - focusing on our higher level goals rather than the items themselves. Siftables aims to enable people to interact with information and media in physical, natural ways that approach interactions with physical objects in our everyday lives. As an interaction platform, Siftables applies technology and methodology from wireless sensor networks to tangible user interfaces. 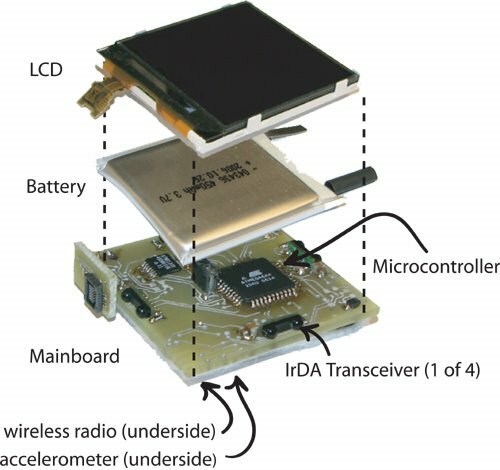 Siftables are independent, compact devices with sensing, graphical display, and wireless communication capabilities. They can be physically manipulated as a group to interact with digital information and media. 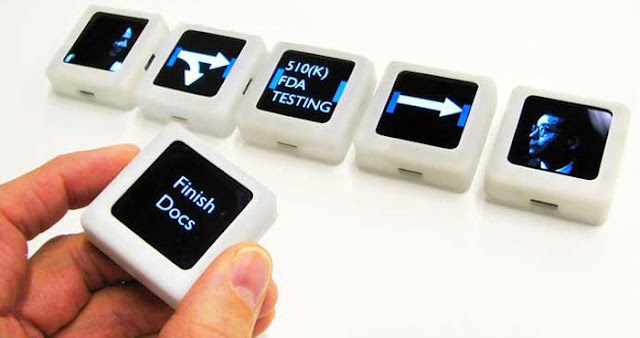 Siftables can be used to implement any number of gestural interaction languages and HCI applications.